Jen Barry Productions is your one stop events & promotions shop! This Halloween Party was a BLAST! We definitely brought back the premier Halloween party in Colorado Springs! Thanks for joining us for this scary fun time at this costume and cocktails party. Check out the hauntingatthehill.com website for this year's photos! 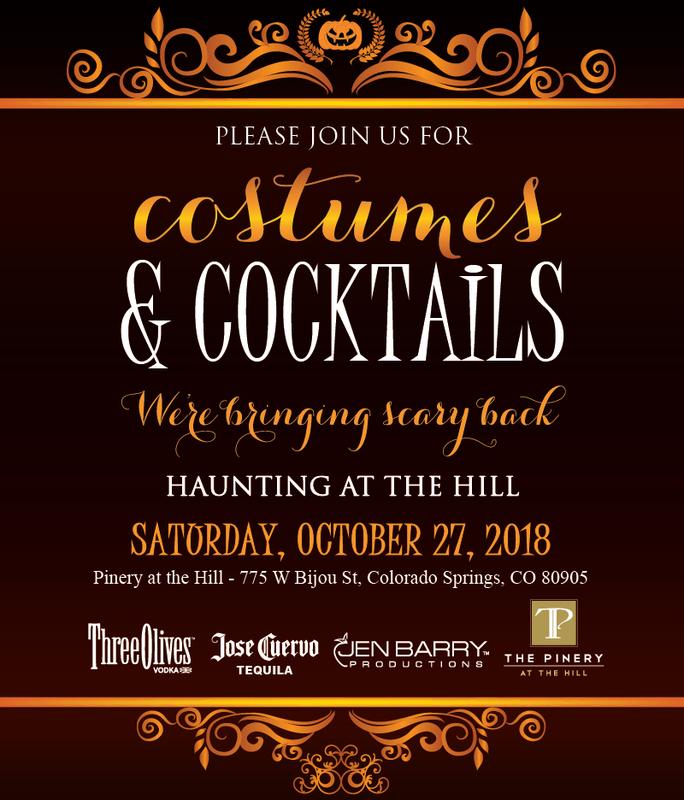 Halloween Party - Cash Costume Contest - Appetizers - Cocktails - Photographers - Free Onsite Parking - DJ / Dancing - More! Click here for HATH Website & 2018 Photos! The Parade of Homes offers the general public a first-hand look at the current trends and greatest innovations in new home design. This 17-day event showcases the latest design trends in affordable living to luxury dream homes complete with every amenity imaginable. This event includes a reception of good company, good food, good spirits and great entertainment provided by the students of the Colorado Springs Conservatory. In lieu of an entry fee invited guests are asked to bring one new children’s coat per person (for a boy or girl youth sizes 5-16). Annual Haunting at the Hill. A spooky fun Halloween Costume Party at The Pinery at the Hill. Cash Costume Contest, Appetizers, Cocktails, Photographers, DJ/Dancing, and MORE! Annual New Years Eve Celebration at The Pinery at the Hill. Bringing in the new year in style at the best party in Colorado Springs with hors d'ouevres, live entertainment and a champagne toast at midnight.